I’m Ed Smith, a Sacramento Sexual Assault Lawyer. For many of us, we have great childhood memories involving organized sports. You may have participated in pop warner football, little league baseball, soccer, volleyball, etc. We look back fondly at the fun times and friends we made. However, there are some people who have blocked their memories from youth sports due to being sexually abused or sexually molested by a coach or other adult. 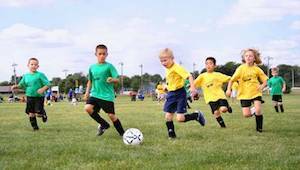 As a parent, when you have your child join a youth sports league, you are placing a level of trust in the league and the coaching staff to keep your child safe. When you discover that a coach or staff member has been abusing your child, it is a complete breach of that trust and legal action should be taken against the abuser and the organization that allowed the abuser to be around children. Coaches and other individuals in youth sports use their access to children between practice, during team-building events, and on overnight trips, to engage in inappropriate behavior. A coach shares a hotel room with young players on an overnight trip or the team manager encourages his players to strip and be photographed. Once the abuse occurs, the adult exploits the “team mentality” and stresses to the abused child that telling anyone about the abuse will “hurt the team.” This is why many children who are sexually abused and molested say nothing and simply suppress the abuse until it resurfaces later in life. The International Olympic Committee (IOC) provides information to parents on its web site about “grooming” victims in youth sports and the warning signs to be aware of. Apparently, youth sports sexual abuse is so common that there has been detailed analysis of the process by which abusers target, harm, and silence a child they are molesting. The IOC explains that a sexual predator may target a young athlete who is vulnerable or impressionable and find ways to assess whether this child can “keep a secret.” The abuser may become close friends with the young athlete. They may even give gifts or go out of their way to make the child feel unique and special. The abuser will then isolate the child and engage in the illegal and reprehensible conduct. The abuser may threaten the child if they tell anyone about what happened, including issuing threats to drop the child from the team. Jerry Sandusky, a former Penn State assistant football coach, used his position to gain access to underage boys and sexually abuse them in Penn State football facilities. Sandusky was not actually coaching the boys he abused. They were using the Penn State facilities and Sandusky capitalized on the access. Joe Paterno, the legendary head football coach of Penn State, reportedly knew about Sandusky’s vile acts and failed to take the necessary steps to end the abuse. He did not notify the local police or ensure that the acts were investigated. Effectively, Paterno turned a blind eye to what was going on and allowed multiple children to be abused by Sandusky. Sexual predators in youth sports are not just the team coaches. They can be people who simply have access to facilities where young children are engaged in youth sports. If you are alerted to sexual abuse, you need to take action. Abusing a child is awful, but being told someone who works for you is abusing a child and failing to take action is just as disgusting. If you were the victim of abuse while participating in youth sports, now is the time to stand up and take action. The children abused by Sandusky stood up and shed a light on the egregious conduct taking place in Penn State. Sandusky was convicted of 45 counts of sexual assault and was sentenced to over 442 years in prison, according to the New York Daily News. In addition to criminal charges, victims of sexual abuse may be able to pursue a remedy in civil court. A question I am often asked by a prospective client who is unsure about whether to move forward with a claim against a coach or sports organization is, "what type of compensation can I get from the other party?" Not every case is the same so the answer depends on the facts and circumstances of your particular case. Generally, monetary damages for physical injuries, mental trauma, and pain and suffering are pursuable through a personal injury claim. Furthermore, you could pursue punitive damages against the abuser and the organization. These are a special form of damages often called "punishment damages." They are awarded in order to send a signal that the behavior of the defendant is unacceptable. An issue that needs to be addressed in youth sport sexual abuse cases is the statute of limitations. This is a statutorily-defined period of time where you or a loved one (i.e. the plaintiff) is able to file a civil lawsuit against the alleged wrongdoer or wrongdoers (i.e. the defendant). In California, a civil lawsuit alleging sexual assault must be filed within eight years after you become an adult. The age of adulthood is 18, so you effectively have until the age of 26 to file a civil lawsuit. You may be asking, “but what if my abuse occurred decades ago?” There is still hope. California has an extension of the statute of limitations based on the "discovery" of child sexual abuse or its effects. The extension allows for a lawsuit to be brought within three years of the date the plaintiff discovers or reasonably should have discovered their harm was caused by being sexually abused as a child. Abusing children is unforgivable. The predators that have harmed children, and the organizations that allowed those predators to gain access to children, need to be held accountable. I'm Ed Smith, a Sacramento Sexual Assault Lawyer. If you or your loved one has suffered sexual abuse, please call me at 916.921.6400 for free, friendly advice. See my client reviews on: Google, Avvo (the site that rates lawyers) and Yelp.